The Parque de España Complex is located in Rosario city, 300 km northwest of Buenos Aires, in a flat region called the Pampas. The Complex, a state of the art facility with breathtaking views of the river, has been built on the banks of the Parana River taking advantage of some old tunnels that used to serve as warehouses for the old port. Parque de España is an educational institution officially recognized by the Ministries of Education of Argentina and Spain, and in November 2004 it was one of the official sites of the III International Congress of the Spanish Language. This institution has a High School based on an integrated Argentine- Spanish curriculum which includes intensive studies in English and Portuguese, and a College, with programs in Agribusiness and Food. The College also offers teacher training courses and there are programs involving educational research and community service. The courses of Spanish offered are targeted at different types of prospective attendees: foreign students/businessmen/professionals interested in the culture in agribusiness, and teachers of Spanish as a second language. All the programs include cultural, sports, and community service (optional) activities, as well as outings in Rosario and short trips to Buenos Aires and other places of tourist interest in Argentina. A unique opportunity to travel to a far corner of the earth and set foot in a curve of the Paraná River, where Spanish and Italian immigrants settled in the late 1800s. This is a chance to enjoy a very special blend of cultures and traditions, and feel the passion and energy of its people. 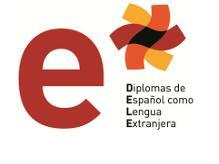 Contact Hrs: 24 hs a week / Language of Instruction: Spanish / Levels: Basic, Intermediate, Advanced. This program is intended for foreign people, who are interested in the culture of Argentina and want to become fluent in the Spanish language. A communicative language a week course, it gives participants the opportunity to attend language immersion classes in comfortable premises within a friendly environment next to the river. Completá tu Formulario de Inscripción!